There are a total of five unique Mounts that can drop during the Alliance controlled Arathi Highlands warfront event. This article will show you the location of each rare that drops a mount, which mounts they drop, and the best route to take to farm them. Aside from one mount, both the Horde and the Alliance can receive the same mounts from the same rares. 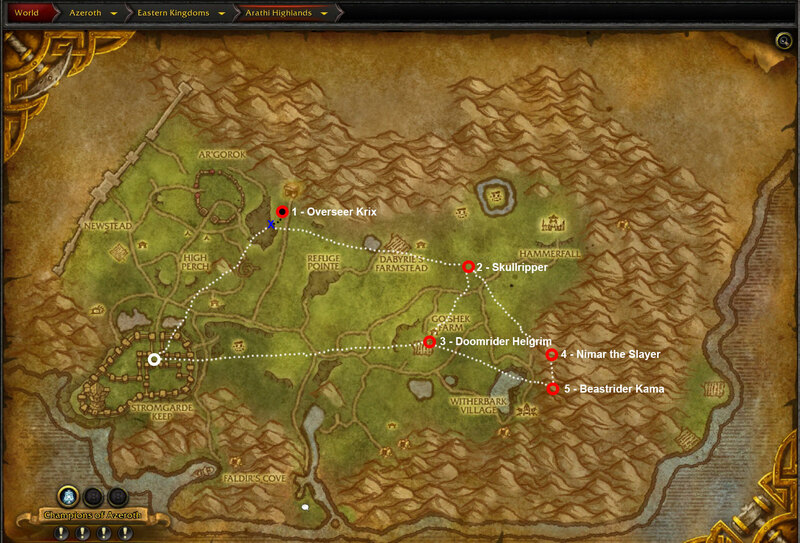 As the location of the rares can be different for the Horde, we have also made a map just for them. After the Horde are driven out of the Arathi Highlands, Doomrider can be found in the Go’Shek Farm. By defeating him there is a chance that he is dismounted and his steed, the Highland Mustang is taken as you own.